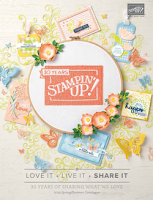 So now that I am back to blogging I am also back to the Simply Stampin' Challenges - sorry for my lack of participation over the last couple of months - hopefully the other design team members will understand! 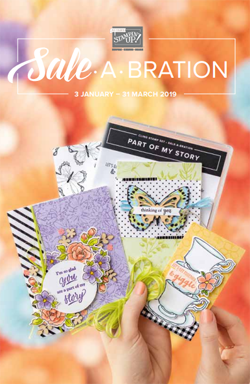 So this is just a really simple little card using the Fresh Vintage Sale-A-Bration set. This one would definitely be one you could whip up on mass! I stamped the large floral flourish in River Rock and then added the border strip in Early Espresso on a separate piece of Very Vanilla cardstock. I brushed the edges of the card strip on the Early Espresso ink pad to just give it the very slightest hint of definition. I really wanted to make a clean vintage card this time - I banned the sponges! I coloured in the postage stamp, punched it out with the postage stamp punch and then did the same technique of brushing the edges on the ink pad. Finally after adhering the pieces together I added a little sentiment in the bottom corner. Voila! Great to see you back Amanda, and you've come back with a fab card!! I always admire CAS cards because I am rubbish at them, this one is beautiful!! I love the way you've kept most of the stamping in one area. 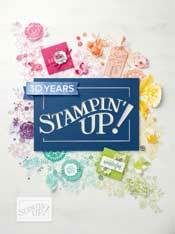 I love the way the 'stamp' is the main feature of this card and the coloring on it is beautiful!